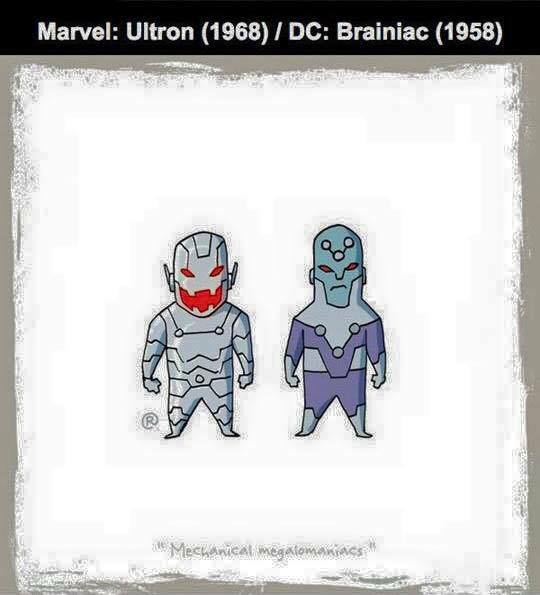 Marvel vs DC - Ultron / Brainiac. . Wallpaper and background images in the Marvel Comics VS. DC Comics club tagged: photo marvel dc comics vs versus heroes 2016.